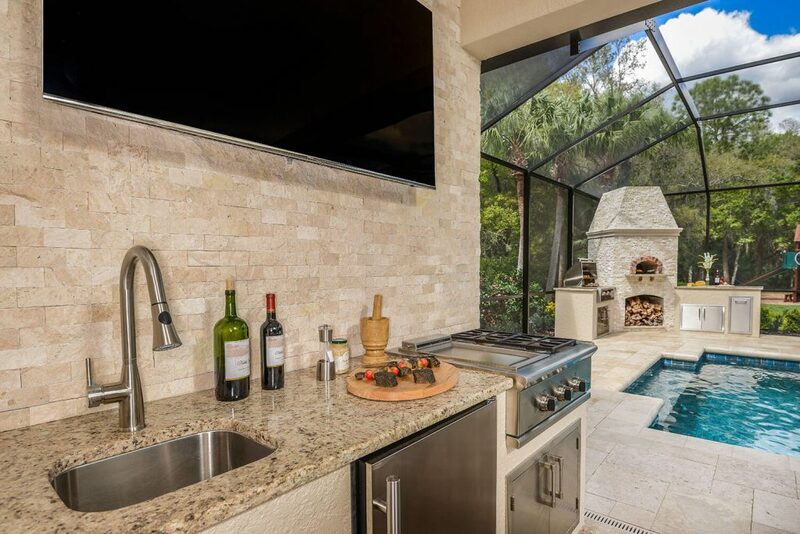 This project won first place at the 2017 Tampa Bay Parade of Homes for Best Outdoor Kitchen. 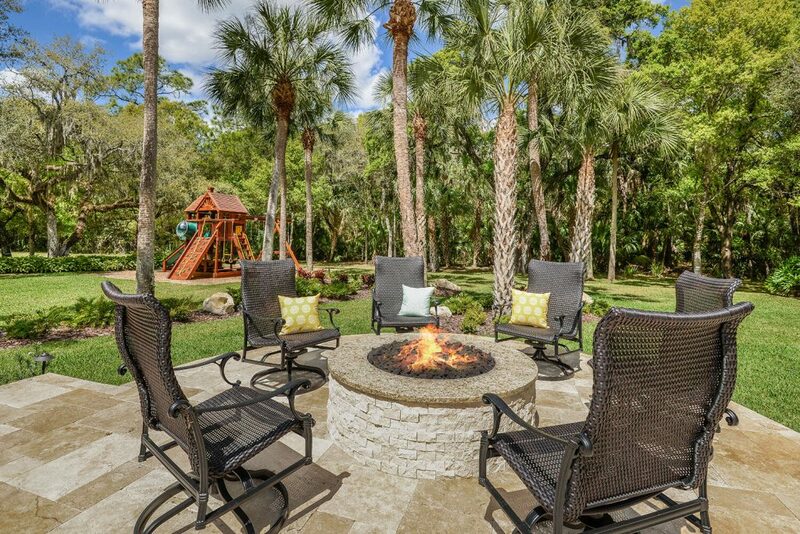 This project was part of a total patio and pool redesign by the client. Just Grillin built two kitchen areas, a gas fire pit, wood-burning pizza oven and furnished the area with luxury outdoor furniture. 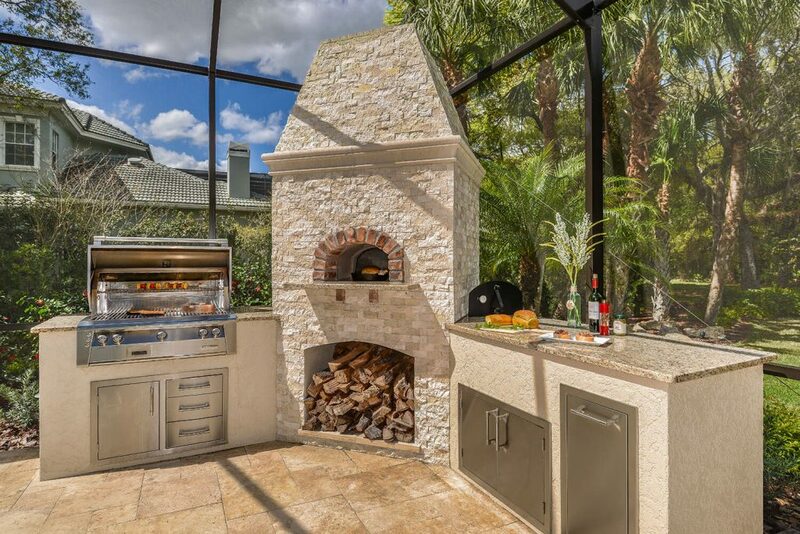 The kitchen features appliances from Alfresco Grills, DCS Grills, Forno Bravo Pizza Ovens and U-Line. The kitchens are built from a high-quality custom frame fabircated exclusively by Just Grillin. 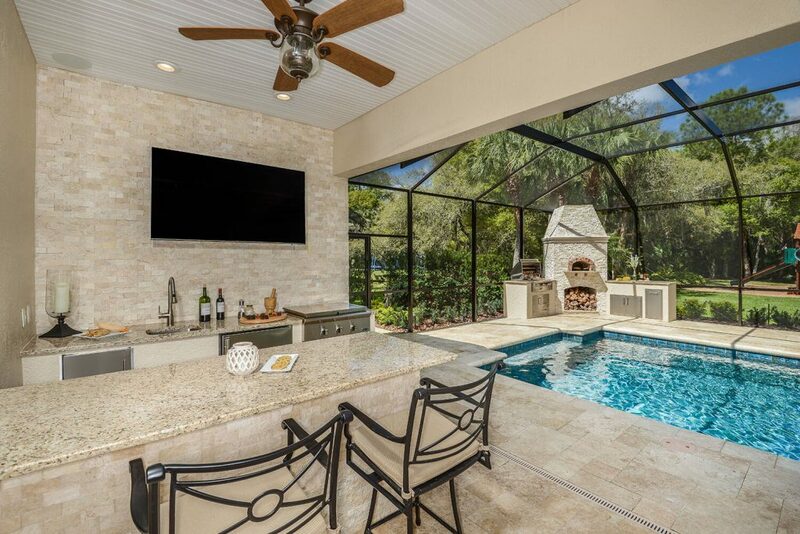 No atter where you are in the kitchen space, you can easily have eyes on the entire patio. There is plenty of space to pull up a seat at the counter under the roof extension. To complete the area, this client handpicked luxury furniture from exclusive lines that Just Grillin offers.